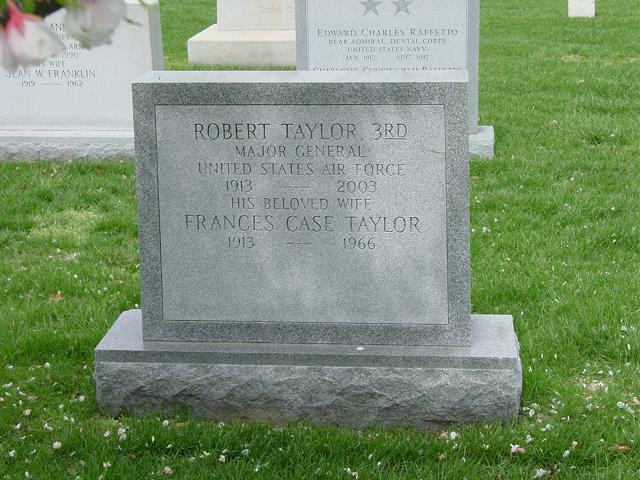 Elegant and dignified, warm and friendly, Major General Robert Taylor III died March 16, 2003. He was 89 years old. Burial will be with full military honors in Arlington National Cemetery on May 1, 2003. General Taylor, a longtime supporter of the local arts scene and The Aspen Institute's first connection with the military, first discovered Aspen four decades ago. He became a full-time resident in the early 1980s after retiring from a distinguished career with the military, the CIA, the Dew Line in Canada, and with the Pentagon. Taylor was born in Catonsville, Maryland, in 1913. On his graduation from the Augusta Military Academy of Virginia, he was appointed to the U.S. Military Academy at West Point, from which he graduated in June 1937. As a Second Lieutenant fresh out of West Point, he was assigned to the Army Air Corps. His first duty assignment was to Randolph Field in Texas where he completed primary flying school and received his rating as a pilot. He served with various military commands in England, Canada, Italy and Greece in addition to his stateside assignments. During World War II, he served as an adviser on military aviation with the Directorate of Civil Defense in Washington, D.C., training private pilots to defend both coasts. He then joined his unit in England to engage in the Battle of Britain. 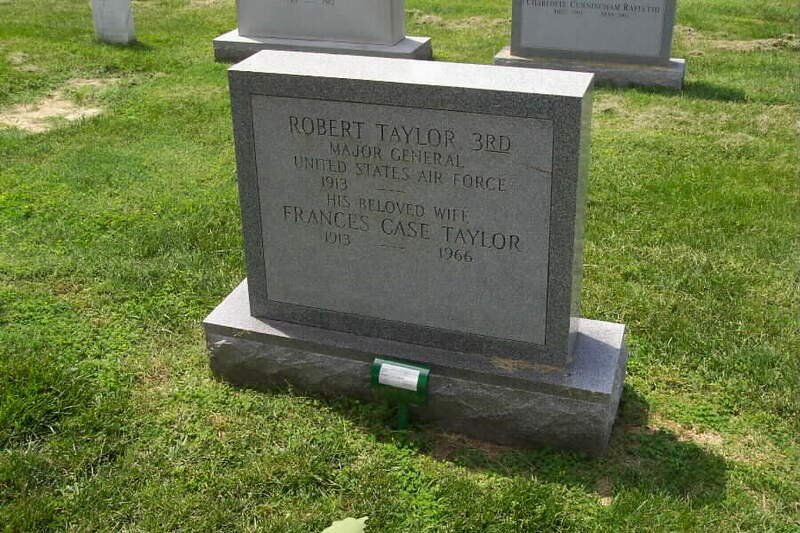 Taylor was awarded the Distinguished Flying Cross for leading Allied bombers deep into Germany to destroy oil fields. Returning to the United States in 1945, he entered the Command and General Staff School at Ft. Leavenworth, Kan. After graduating in 1946 he was named chief of the collection division, Directorate of Air Intelligence working with the CIA in Washington, D.C. In 1949, Taylor entered the Air War College at Maxwell Air Force Base in Alabama and in 12 years went from a student to Commandant of the War College. He served in Greece in the 1950s, with duties as chief of planning activities in the eastern Mediterranean. From there he was designated chief of staff of Allied Air Forces of Southern Europe, and was stationed in Italy. Returning to the United States, he was assigned to Colorado Springs where he performed duties as deputy chief of staff, intelligence, Continental Air Defense Command Headquarters. And in 1957, Taylor assumed command of the newly created NORAD. He had always enjoyed sailing and skiing while in Europe and while stationed in Colorado Springs. During that time he discovered Aspen and bought a home on Hallam Street. A neighbor and close friend across the street was author Fred Glidden, otherwise known as Western writer Luke Short. Other close Aspen friends were Walter and Elizabeth Paepcke. Taylor brought students from the War College not only to ski in Aspen but to be the first military connection with The Aspen Institute for Humanistic Studies. On June 30, 1959, he was promoted to the rank of Major General. He was serving in the Pentagon with Defense Secretary Robert McNamara, who also has an Aspen home, during the Cuban crisis in the early 1960s. General Taylor's decorations and medals include the Distinguished Flying Cross; Bronze Star Medal, American Defense Service Award; European, African, Middle Eastern Campaign Medal; Victory Medal World War II; Army Commendation Ribbon; Air Force Longevity Service Award with one Silver Oak Leaf Cluster. He was rated a command pilot. He was listed in Who's Who in America in 1964. He moved to Aspen full time in the early 1980s, sharing a home with Merrill Ford, first on Francis Street and then at the Aspen Meadows. In Aspen the general was active with the Music Associates of Aspen, the International Design Conference at Aspen, and he served on the National Council of the Aspen Art Museum. He enjoyed skiing and attending the music concerts. He loved to do his errands on foot and could be seen around town with a backpack on his back, stopping and visiting with friends along the way. He was widely known as a "Gentleman of the Old School." Survivors include Merrill Ford, Fred Ford III, Robert Foerster, Mary Haverstock, Alison Rea, and Kim and David Floria. The family requests that in lieu of flowers, memorial contributions be sent the the Music Associates of Aspen at 2 School House Road, Aspen, CO 81611 or to the International Design Conference at Aspen, c/o Box 445, Aspen, Colo. 81612. Robert Taylor III, was born in Catonsville, Maryland, in 1913. On his graduation from the Augusta Military Academy of Virginia, he was appointed to the U.S. Military Academy, graduating therefrom on June 12, 1937. He was then commissioned a Second Lieutenant and assigned to the Air Corps. His first duty assignment was to Randolph Field, Texas, where he completed primary Flying School. Thereafter, he was assigned to Kelly Field, Texas, and graduated from Advanced Flying School October 5, 1938. He received his aeronautical rating as a pilot April 1, 1939. Lieutenant Taylor served successively at Hamilton Field, Calif., Second Air Force Headquarters, Spokane, Washington, and at the Technical Training Command at Denver, Colorado, performing various squadron duties. He was promoted with the grade of first lieutenant June 12, 1940. On September 9, he was promoted to the grade of Captain. In December 1941, Captain Taylor was appointed an adviser on miltary aviation with the Directorate of Civil Defense, Washington, D.C.
On March 1, 1942, Captain Taylor was appointed a Major. In April 1942, Major Taylor became the operations officer of the 44th Bomb Group (Heavy) and in September of that year went with his unit to England. He was promoted to the grade of Lieutenant Colonel Sept. 23, 1942. He commanded the Combat Crew Replacement Center near London from December 1942 until January 1944, when he assumed command of the 487th Bomb Group (Heavy), Lavenham, England. He was promoted to the grade of Colonel October 25, 1943. From January until June 1945, he served as deputy commander of the 95th Bomb Wing (Heavy) in England. He returned to the U.S. in June 1945 to enter the Command and General Staff School at Fort Leavenworth, Kan., graduating therefrom in February 1946. He was then assigned to Washington, D.C., and designated chief of the Collection Division, Directorate of Air Intelligence. He remained there until August 1949 when he entered the Air War College at Maxwell Air Force Base, Alabama. After his graduation in June 1950, he was appointed special assistant to the Director of Intelligence at Headquarters U.S. Air Force. In August 1952, Colonel Taylor was reassigned to Athens, Greece, with duties as chief of planning activities for the Eastern Mediterranean Area. While on this assignment, he was promoted to brigadier general December 15, 1953. On February 1, 1954, he was designated chief of staff, Allied Air Forces, Southern Europe, and stationed at Naples, Italy. On his return to the U.S. in July 1955, he was assigned to Co1orado Springs, Colorado, where he performed duties as deputy chief of staff, intelligence, Continental Air Defense Command Headquarters. On the activation of NORAD Headquarters at that station in September 1957, General Taylor performed that same duty for the new command. On 21 March 1959, he was transferred to Ottawa, Canada, and designated chief, U.S. Air Force Central Coordinating Staff-Canada. He has served in that position until the present date. On June 30, 1959, he was promoted to the grade of Major General. The U.S. Air Force Central Coordinating Staff-Canada is a field extension of Deputy Chief of Staff/Operations, Headquarters U.S. Air Force. It is the principal Air Force liaison agency in Canada. In this assignment, General Taylor is charged with the responsibility of promoting and perpetuating the friendly and harmonious relationship between the U.S. Air Force and the Canadian Government. USAF CCS-C monitors the USAF-RCAF Exchange Officer Program, providing administrative support for 50 U.S. Air Force officers assigned to exchange officer duties with the RCAF throughout Canada. The unit obtains theater clearances for more than 4,000 U.S. Air Force sponsored visitors to Canada each year. The many and varied responsibilities of this assignment require General Taylor to have an intimate knowledge of Air Force interests and programs within Canada. He must, of course, work in close harmony with top Canadian defense and diplomatic officials.